We cannot imagine a website without any form of it. That is why every website has at least a form on the contact page. Apart from the contact page, forms can be used in a lot of different pages and for different purposes. But not all of the WordPress form plugins we generally use today are capable of building such multi-purpose forms. There are some advanced and highly functional WordPress form builder plugins that can possibly work way better than just general contact form plugins. Today, we will introduce six best WordPress form builder plugins with their detailed specifications. We will cover some of the essential features of 6 top form builder plugins along with the price range of their paid versions. 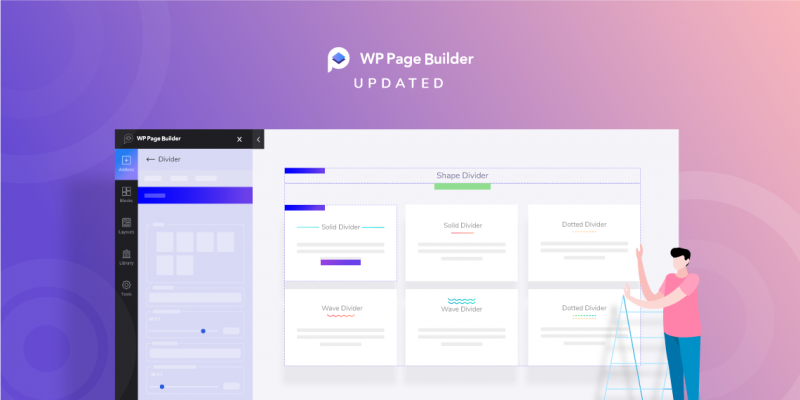 This insightful analysis will help you choose the right form builder plugin for your WordPress site. FormGet is a drag and drop form builder which makes form creation an absolute breeze. So, even if you are new to technology, you’ll absolutely fall in love with FormGet. Then, it allows you to share your form with an unlimited number of people through link sharing, custom webpage and also, through social sharing. In fact, the form created through FormGet can also be integrated on your website with ease. This way you can effectively convert the visitors in leads. The people who fill up your form become your leads and this data gets placed in the contact database which can be integrated with your favorite software such as MailChimp, Zapier, etc. It provides you with a 7 days free trial wherein you can use all the advanced features and create unlimited forms without any hassle. You can create a multipage form in no time simply by selecting the fields you want the user details for and adding a page-break for moving to the next page. Moreover, the user can easily save the form and fill it later. FormGet facilitates you with the feature to send the form link to users via emails so that they can resume the form anytime. Configuring the payment settings can’t get easier. You can select the billing cycle as one-time or recurring and select payment gateways like Stripe & PayPal. Additionally, you can also upload the product image as well. Further, it allows you to add single or multiple products with details like stock, limit for purchase quantity per user, price, currency, total price label & much more. Easy enough! With a conditional redirect, you can add redirect links for different conditions. You can either select all the conditions or any single condition to be fulfilled in order to trigger redirection. Besides, you can also get insights into reports of the forms about the multi-choice option like dropdown, checkboxes, etc in graphical form. This way, you can easily analyze the results and download the CSV files for the same. Pricing: FormGet offer various yearly as well as monthly pricing plans starting from $7 to $99 per month. The cost differs on the basis of features like monthly submissions, the number of forms you want to create, payment accounts, etc. The available plans are: Starters, Standard, Rookie, Pro, and Advance. Ninja Forms is not just a simple WordPress form plugin. It is a powerful drag and drop form builder with which you can build great looking forms on your WordPress sites. You can easily make complex forms in a short time with absolutely no code. If you are a developer, you can tweak this by utilizing built-in hooks, filters, and custom field templates. What makes Ninja Forms awesome? Ninja Forms is free to be tested, used, or contributed to. The add-ons Ninja forms sell come with a 14-day money back guarantee. The unlimited number of forms, fields, emails, actions, or submissions. A bulk of settings so that you can fine-tune every part of your form: from general settings to individual fields, submit actions and emails. You can modify your own field then save them as favorites to use later (also in other forms). There are a lot of extensions that increase the functionalities of your forms. You can integrate PayPal, Stripe, Zapier with Ninja Form easily. It is developer friendly with hundreds of functions, action hooks, and filters that developers can use to create their custom functionality. 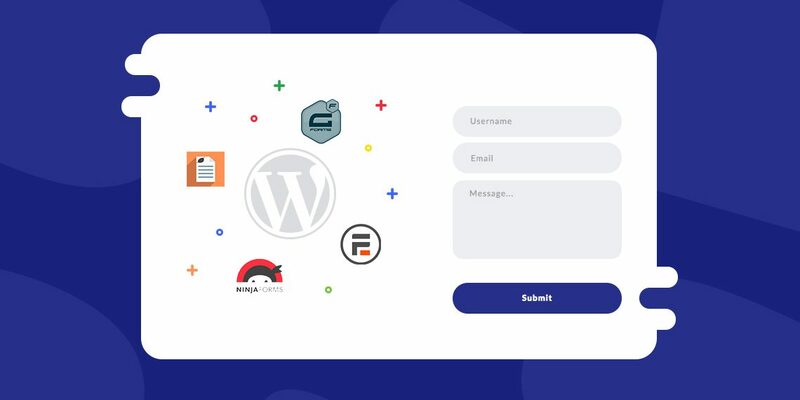 Ninja Forms gives you an effortless WordPress integration. You can add a Ninja Forms to your site easily with a shortcode, widget, template function, or append it automatically to any content you choose. Updating the Ninja Forms plugin and extensions is super easy. You just need one click to get the latest update. It is translation-ready, for easy conversion to any language. Pricing: Ninja Forms is basically free but it has pro versions that come with a lot of Add-ons starting from $29. They have 4 different packages to choose from. Pick the one that suits you best. Gravity Forms is a very easy to use tool to create advanced forms for your WordPress sites. You can create quality forms in a short time. It powers over a million WordPress sites. Gravity Forms lets you integrate with a variety of third-party services such as PayPal and provides even deeper integration with WordPress through many optional Add-ons. What’s so special about Gravity Forms? You can build your WordPress forms quickly using its flexible form editor. Select your fields, configure your options, and easily embed forms on your WordPress powered site using the built-in tools. It allows you to break up your form into multiple pages and shows a progress bar letting your user know which page they are in the process. The settings of Gravity Forms is super easy. You can easily configure the title, description, and confirmation message using the form settings. Forms are optimized for mobile devices. You can easily limit the number of entries a form will accept and display a custom message when that limit is reached. It’s easy to extend Gravity Forms to integrate with several popular web applications and online services. Pricing: You can avail the features of Gravity Forms starting from a price of $39 for a year. They have three different packages ($39, $99, $199) each with one-year duration. Want to experience a faster way to create forms on WordPress? Get weForms, an easy to use WordPress form plugin to create contact forms. It is an all-in-one form builder created with the general users in mind. Create rich contact forms to generate leads, make conversions and sales, take feedback, and onboard visitors. 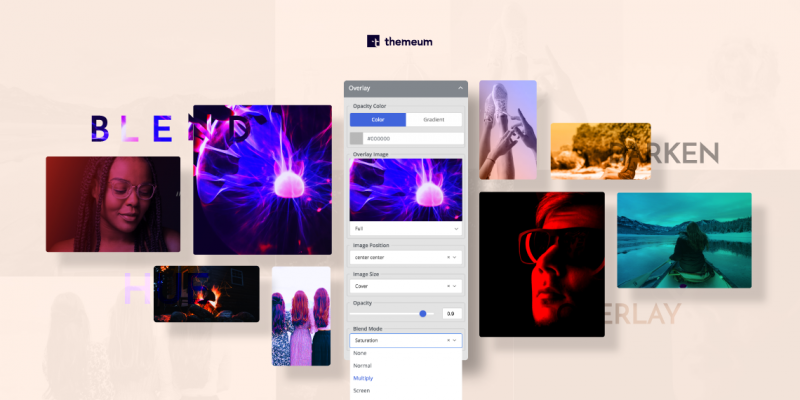 Design forms with weForms’ drag and drop function. It is amazingly fast. From creating a form to configuring settings or viewing entries, all happens in real time. Everything inside weForms actually loads in a single page without reloading the page. There are more than 33 types of field types to choose from. 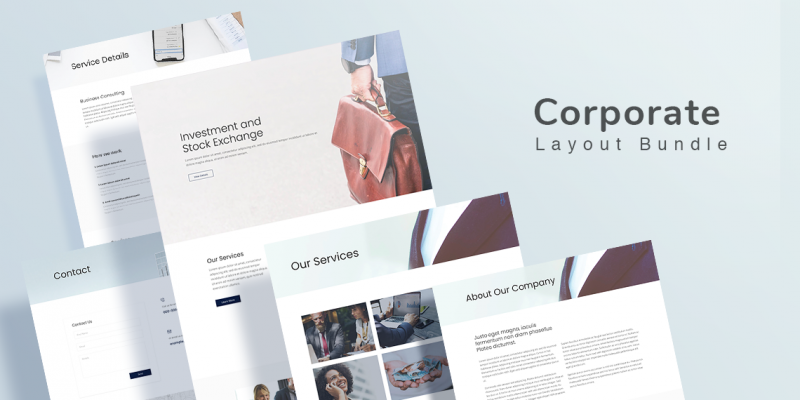 Create industry standard forms quickly using amazing pre built templates or a blank canvas. Set rules by using conditional logic for user interactions. Avoid spam entries with weForms’ built-in anti spam protection. Easily sync with the most popular email marketing tools. Pricing: weForms has both free and Pro versions. You can go for the free one or buy any of the Pro packages from Personal for $39, Professional for $79, Business for $149, and Developer for $399 a year. Pirate Forms is a WordPress form plugin with captcha. It powers over 2 million websites. Pirate Forms makes your contact form page more engaging with good-looking WordPress contact forms on your website. What makes Pirate forms unique? It is quite easy to integrate and customize. With pirate forms, you can avoid spam messages and make sure the emails you receive are entirely addressed to you as it comes with reCaptcha. You won’t miss any email from your visitors as you have the SMTP option with this form builder. The messages will be delivered from the source to your personal email address. Pirate Forms lets you store contacts in a special database. You can keep all contacts in an archive by saving their email addresses. Pirate forms is a shortcode ready and extendable plugin. Pricing: You can choose any of Pirate forms’ three plans ( $99, $149, $299). Each plan comes with different set of features. Formidable Forms is a powerful WordPress form builder that lets you create awesome forms for your websites. You can create contact forms, polls, surveys, and lead generation forms easily with this. You can either start with pre-built form templates or create custom forms. It can be used for any size of forms – from the smallest sidebar opt-in form to large job application forms. What do Formidable Forms offer? Formidable Forms lets you create unlimited forms with essential field types including single line text, email, URL, paragraph text, radio, checkbox, dropdown, and reCaptcha. It saves your time and increases form completions by preloading data in your forms. Formidable Forms allows your users to edit their submissions from the beauty of your theme. Front-end editing is quite easy and simple. Build complex forms with conditional logic. You can automatically hide or show fields or entire pages in your form based on selections your users make. Use field calculation to add up quantities and totals. Add a quantity and see the total update in real time. Publish your forms with an easy-to-use shortcode UI. Pricing: Formidable Forms offers 4 packages to choose from starting at $49. Each of the packages varies in features and the number of add-ons. This is undoubtedly a great list. You have covered most of the popular form builder plugins in this article. However, I’d like to take the opportunity to introduce ARforms ( https://www.arformsplugin.com )- the latest addition to the contact form market. It is developed by Reputeinfosystems , the maker of repute and WP User Frontend. It’s very user friendly and amazingly feature rich- just for example- you can find integrations like MailChimp, MailPoet, Slack, HelpScout etc. in the basic version.